Powertech Auto Services values your time and tries to provide quick and high quality service with your conform in mind. Powertech Auto Services Always focus to maintain 100% Customer Satisfaction, we value our Esteemed Customer's time. 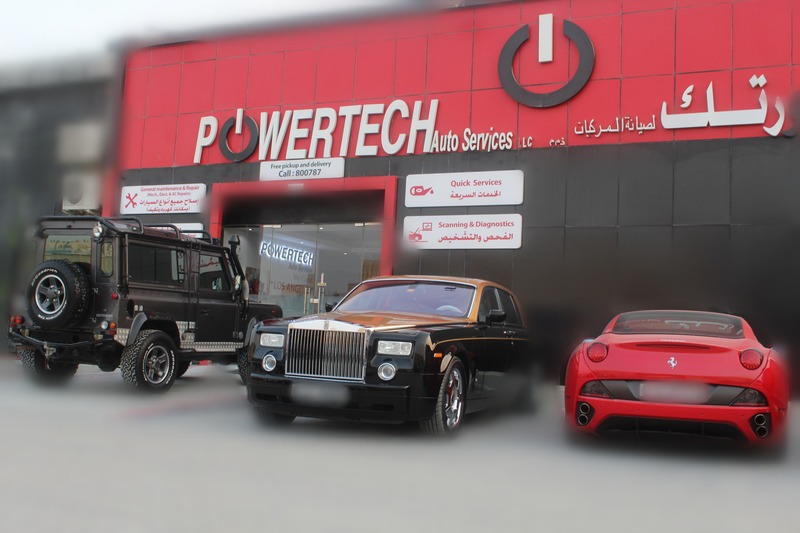 It's them, It's them, Powertech Auto services are the best Quality Auto service I ever seen in Dubai. I had a very good experience with their professional service with my Mercedes repair, the issue was with the engine and transmission. Their Service Advisor had an excellent communication with me regarding the issues and acquired my approval before undertaking the repair. I have tried many Garages before Dubai, however I feel 100% comfortable at Powertech. More over at the end of all the repair they performed free car Wash, Vacuum and they delivered the car to my home. The procedure at pwoertech is well organized, customer friendly and they are professionals who know what they are doing. I RECOMMEND EVERY ONE TO GO TO POWERTECH AND SAVE YOUR TIME AND ENERGY AND THEIR PRICE IS ALSO REASONALBE. This was my first experience with Powertech, the job was professionally done, my service adviser (Michael) was professional & attended to all needs, I ended up bringing my other cars for service needs. Will highly recommend to others.